The Board on Children, Youth, and Families (BCYF) is a non-governmental, scientific body within the National Academies of Sci­ences, Engineering, and Medicine that convenes top experts from mul­tiple disciplines to analyze the best available evidence on critical issues facing children, youth, and families today. Our ability to evaluate research simultaneously from the perspectives of the biological, behavioral, health, and social sciences allows us to shed light on innovative and influential solu­tions to inform the nation. Our range of methods—from rapidly convened workshops to consensus reports and forums—allows us to respond with the timeliness and depth required to make the largest possible impact on the health and well being of children, youth, and their families throughout the entire life­cycle. BCYF reports provide independent analyses of the science and go through a rigorous external peer review process. and Social Sciences and Education (DBASSE) and the Health and Medicine Division (formerly the Institute of Medicine (IOM)). 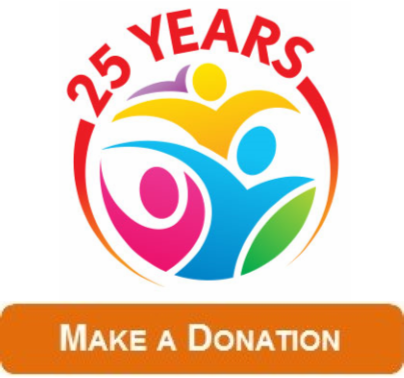 Marking its 25th year milestone, the Board on Children, Youth, and Families held an event on November 14, 2018, featuring a series of discussion with experts in the field, focusing on the current state and future of children, youth, and families. We are always looking for the most current and useful communication method to disseminate condensed information from our reports to audiences nationally and internationally. For a list of current BCYF communication products please go ► here. For a full listing of the Board's publications by year, please visit here. 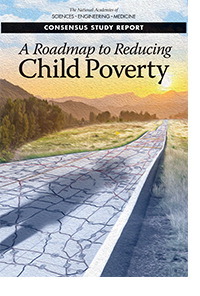 This consensus study report from the Board on Children, Youth, and Families concludes that poverty causes negative outcomes for children, especially if it occurs in early childhood or persists through a large part of childhood. It also identifies packages of policies and programs that could reduce child poverty by half within 10 years, at a cost far lower than costs the United States currently bears. This new report from the Board on Children, Youth, and Families concludes that transforming the that transforming the financing structure for early care and education to meet the needs of all children and families will require greater coordination among financing mechanisms, as well as significant mobilization of financing and other resources across the public and private sectors. 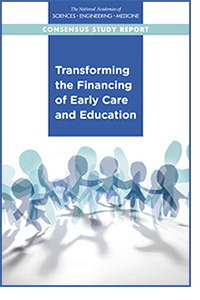 The report offers specific recommendations for making early childhood education and care more affordable for families, linking funding to high quality-standards, and financing the transformation of the education and care workforce. 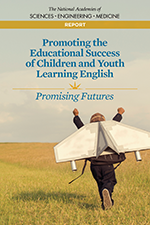 This report examines how evidence based on research relevant to the development of DLLs/ELs from birth to age 21 can inform education and health policies and related practices that can result in better educational outcomes.